Länge mit Quastenanhänger: ca. 51 cm. Beigefügt zwei Zertifikate von THE GEM & PEARL LABORATORY Nr. 09429 und 09428 vom Februar 2014. 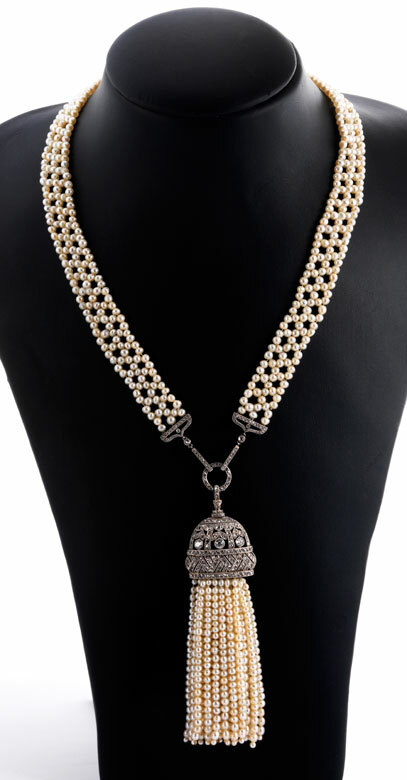 Length with tassel pendant: ca. 51 cm. 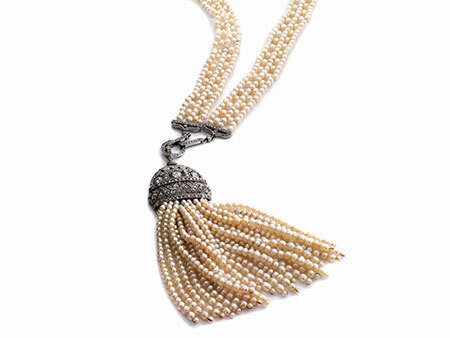 Necklace width: ca. 1.5 cm. Accompanied by two certificates from THE GEM & PEARL LABORATORY no. 09429 and 09428 dated February 2014. 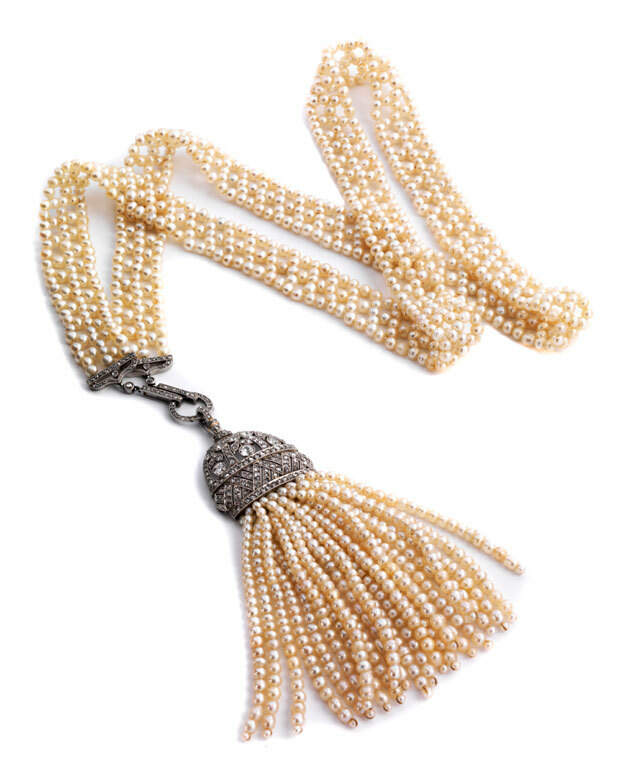 Beautiful, elaborately knotted necklace from natural pearls, with a diameter of 3.3 to 4.0 mm, with one exquisite, detachable art deco tassel pendant with 23 strands of natural pearls, with a diameter of ca. 2.0 to ca. 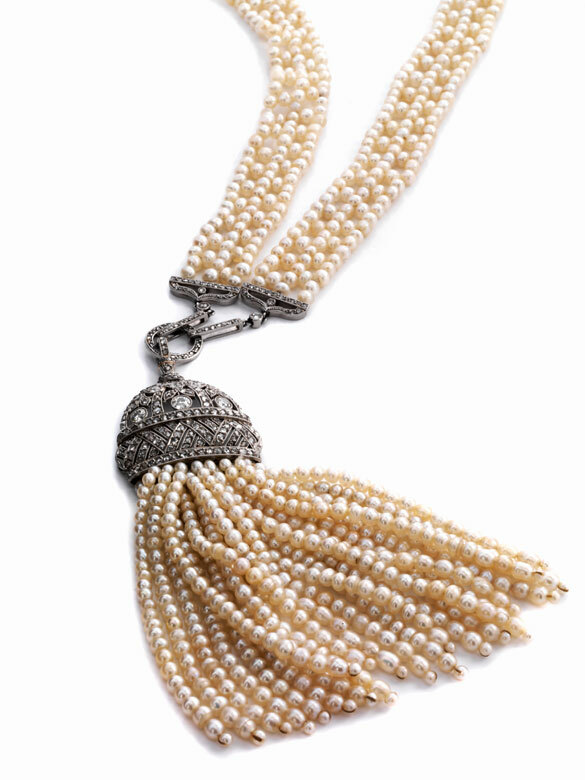 3.5 mm, studded with old-cut diamonds and diamond roses, altogether ca. 2.10 ct. French hallmarks.